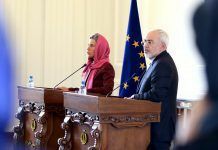 The next three months will be crucial for Iran’s relationship with the international community and particularly with Europe. The deadline is fast approaching for the Guardian Council to approve the two remaining components of the Financial Action Task Force (FATF) Recommendations — namely Combating the Financing of Terrorism (CFT) law and the United Nations Convention against Transnational Organized Crime, better known as the Palermo bill. 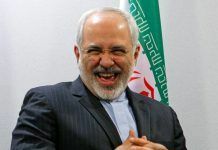 It is also highly unlikely that the U.S. will extend the six-month exemptions for China, Greece, India, Italy, Japan, South Korea, Taiwan, and Turkey on importing Iranian oil beyond May. Meanwhile, the EU will hold its parliamentary elections around the same time. 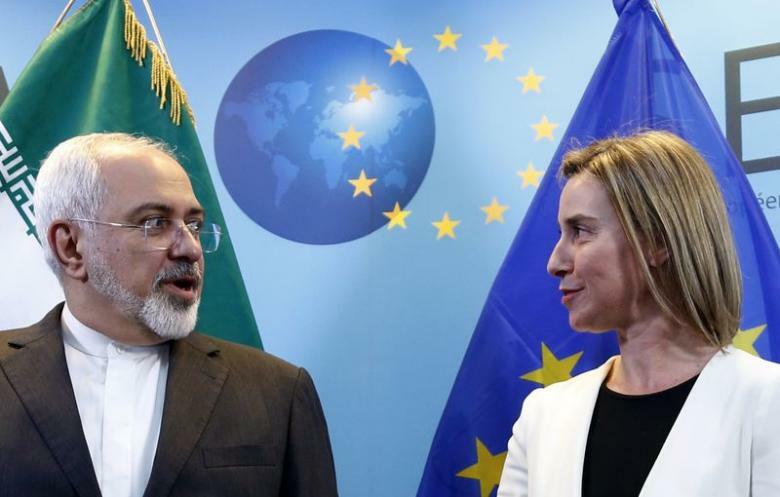 Federica Mogherini, High Representative of the European Union for Foreign Affairs and Security Policy, who is a staunch supporter of the Islamic Republic, has announced that she will not run in the forthcoming elections. Iran must approve the CFT and the Palermo bill before it can benefit from the Instrument in Support of Trade Exchanges (INSTEX), a special purpose vehicle (SPV) set up by France, Germany, and the UK to facilitate non-dollar trade with the Islamic Republic. 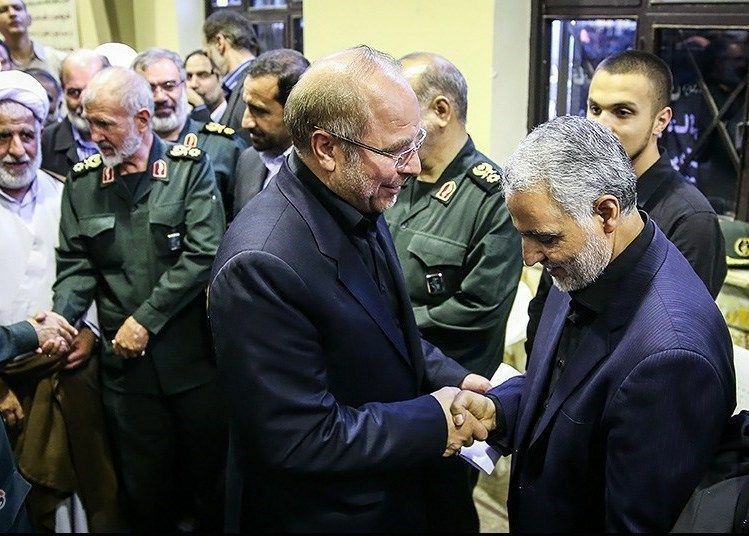 Ghasem Soleimani (R) and Mohammad Bagher Ghalibaf (L) shake hands at funeral for Ghasem Soleimani’s mother. Author: Hamed Malekpour. This file is licensed under the Creative Commons Attribution 4.0 International license. 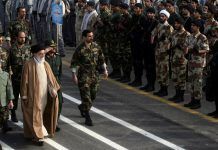 “The Islamic Republic’s oil exports dropped from two million barrels a day before the U.S. sanctions went into effect in May 2018 to 1.38 million in February of this year,” business magazine Argus reported in its latest issue. Italy, Taiwan, and Spain have not bought any oil from Iran since November. Also, it is becoming increasingly difficult for Iran to sell its oil illegally in international waters. American, Israeli and Saudi naval careers patrol all ports and trade routes. Meanwhile, the EU has again extended its 2011 Iran human rights sanctions. These measures impose travel bans and asset freezes on 82 individuals. The sanctions also prohibit any European country from selling any equipment that the regime might use to brutalize opposition groups and dissidents. The Iranian media have reported widely on French seed producer Vilmorin SA which has said it will continue to do business with the Islamic Republic. U.S. sanctions do not include farm products and machinery. American agricultural exports to Iran more than tripled in 2018 compared to the previous year. The U.S. is the biggest exporter of soya beans to Iran. At the end of the last summit between the Arab League and EU member countries, Italy, France, Germany, and the UK warned Iran that its ballistic missile program and its meddling in the internal affairs of Lebanon, Syria, Iraq, and Yemen would have severely negative impacts on its relationship with the EU. 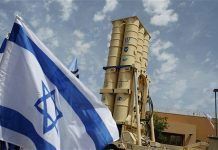 They called on Tehran to stop its threats against Israel. Saudi Crown Prince Mohammad Bin Salman even called for a global coalition against the Islamic Republic. 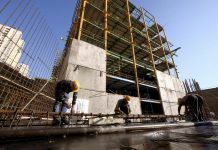 These demands by European governments are in line with the 12 preconditions that U.S. Secretary of State Mike Pompeo detailed in May and which Iran has to meet before Washington negotiates a new nuclear deal with Tehran. 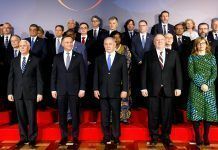 Also, the EU and the U.S. have aligned their policies on Iran following a two-day summit in February in Warsaw, Poland which resulted in unifying 60 countries against the Islamic Republic. In recent days, Mr. Pompeo and his British and French counterparts have been discussing the plight of dual nationals, Iran’s regional ambitions, its support for terrorism and IRGC’s missile tests. In a rare and politically significant move, British Foreign Secretary Jeremy Hunt announced on March 5 that he was granting Nazanin Zaghari-Ratcliffe diplomatic protection. Mrs. Ratcliffe is a 40-year-old Iranian-British woman who has been serving a five-year prison sentence since 2016 for allegedly “plotting to topple the Iranian regime.” She worked as a project manager with the Thomson Reuters Foundation which is the charitable arm of the Canadian news agency Thomson Reuters. At the time of her arrest in April 2016, Nazanin was on vacation in Tehran visiting her family. The announcement by Mr. Hunt elevates her case from a consular matter to a formal legal dispute between the UK and Iran. Iranian authorities arrested an Iranian-Belgian academic on March 4 on unspecified charges. The unnamed professor is a member of the Catholic University of Leuven, who has also taught at Tehran University. The Catholic University of Leuven has severed all ties with Tehran University following the arrest. On March 5, the German Rectors’ Conference (HRK), an association of state-recognized universities and higher education institutions in Germany, called on Iran to release Ahmad Reza Jalali, a Swedish-Iranian academic and researcher who was sentenced by a Revolutionary Court in Tehran to death for allegedly spying for Israel’s intelligence agency Mossad. 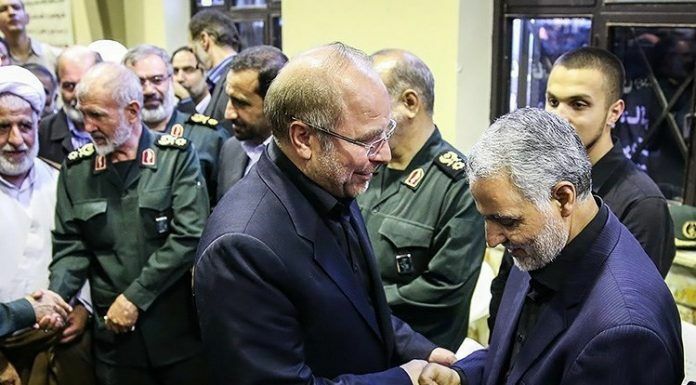 Mr. Jalali, who is a medical doctor and lecturer at the Karolinska Institute in Stockholm and a visiting professor at the Belgium Free University of Brussels, has been in prison in Iran since 2016. Dr. Jalili’s wife, Vida Mehrannia, told Kayhan Life that her husband has leukemia and desperately needs medical care. In a letter to Iran’s Supreme Leader Ayatollah Ali Khamenei, the director of the HRK, Professor Peter André Allet, warned that German universities would sever their ties with Iranian education and research institutes if Dr. Jalali was not released. Amnesty International’s office in Sweden has sent the Iranian government a petition signed by more than 200,000 people including many prominent academics, researchers and Nobel laureates calling for the immediate release of Dr. Jalali. The expulsion of Dutch diplomats from Iran was in response to a report by the Netherlands’ intelligence services that said Tehran had hired local gangsters to assassinate two Iranian-Dutch political activists in Hague in 2015 and 2017.